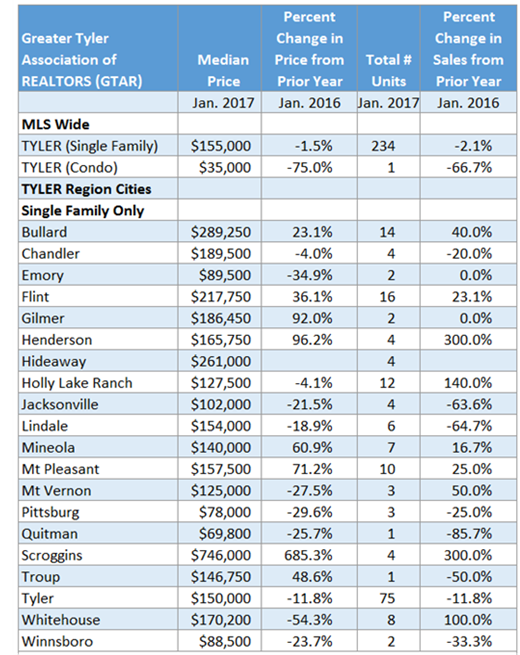 ​​​​TYLER – Housing trends for January 2017 have been released by Prudential Ada Realtors. The data compare housing sales and prices in cities across east Texas. existing condo sales decreased 66.7 percent in Jan-17 over Dec-16 for a total of one sold units. ​Wan​t more data? See Tyler Housing Market Research.